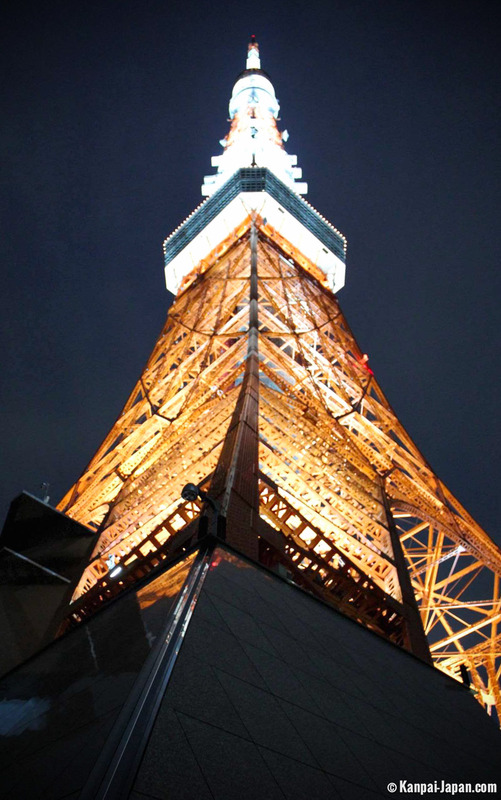 Since the inauguration of Tokyo Sky Tree in 2012, Tokyo Tower seems to have been neglected by many travelers. It is, however, well worth a visit on the basis of the following features. 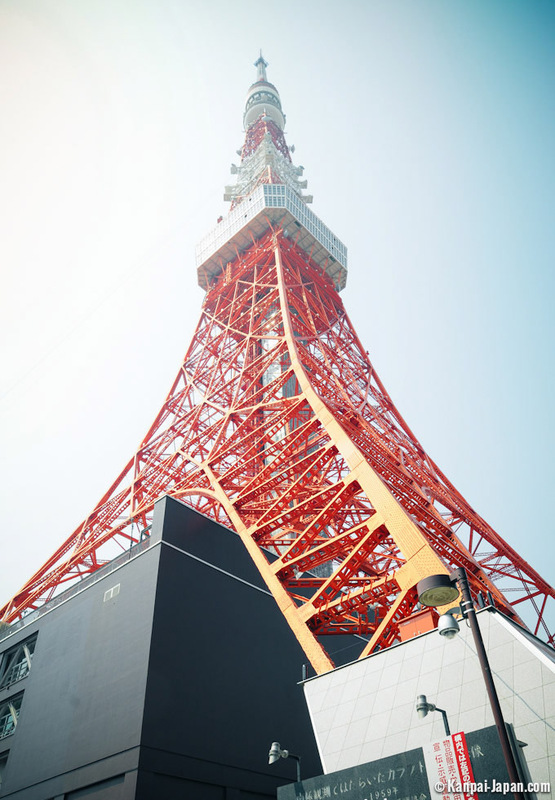 Designed by architect Taichi Naito and completed in 1958, Tokyo Tower was obviously inspired by Paris Eiffel Tower, although it rises a good dozen meters higher (or 7.6 meters if you include the aerial). 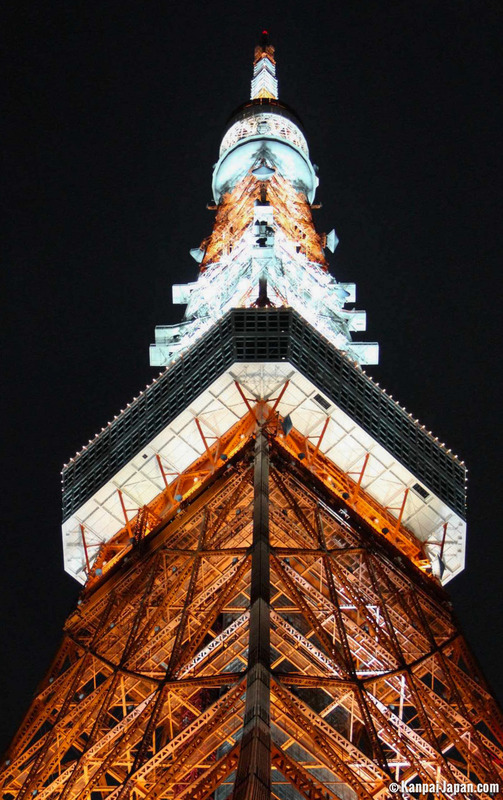 With its 333 meters, it ranks as one of the tallest metal towers in the world. It is, however, much lighter weighing in at four thousand tons compared with the ten thousand tons of its Parisian counterpart. The construction was intended to provide better resistance to earthquakes, obviously a key issue with Japanese buildings, especially very tall ones. You will instantly recognize its distinctive red and white metal latticework, beautifully illuminated after nightfall. At the tower’s base, which covers an 80m2 surface area, is a shopping center named “Foot Town” which houses restaurants and even an aquarium. In March 2015, the first official One Piece entertainment park was opened in the Tower and attracted 100,000 visitors within the first 48 days. The Tower also houses two observation decks. The more dauntless visitors can climb the stairs (open only week-ends and bank holidays) to the first one, located 145 meters above ground. It has a glass floor and also harbors, incidentally, the highest Shinto shrine in the Prefecture of Tokyo. The special observatory is located 250 meters above ground, just underneath the aerial and obviously offers a view of Mount Fuji in clear weather. 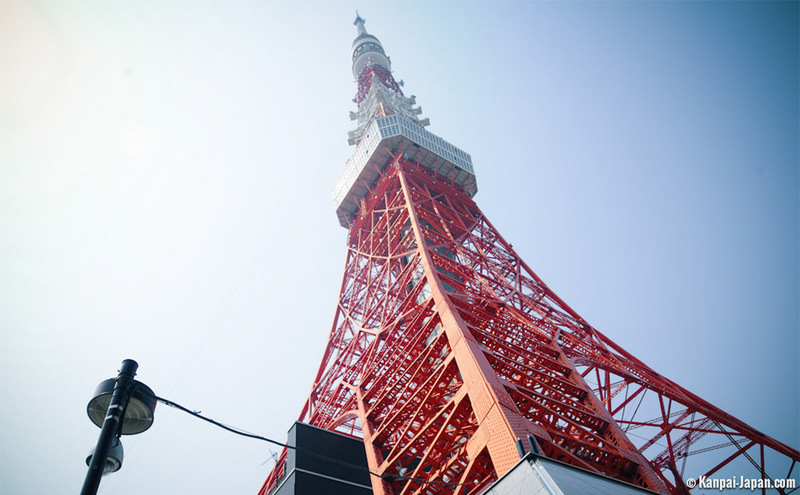 Although the TV / radio broadcast aerial in-between these two floors was in use for a long time, it was recently moved to Sky Tree which is twice as tall as Tokyo Tower. For more sights, walk on to the beautiful Zojo-ji Temple which is near the Tower.